Cyclone Promotions have today announced that rising star Chantelle Cameron will contest the IBO Inter-Continental Lightweight title against Mexican Edith Ramos on November 11. The pair will clash on the undercard of Josh Taylor’s WBC World Silver Super Lightweight title defence against the classy Miguel Vazquez at the Royal Highland Centre in Edinburgh. Former Team GB standout Cameron opened up about her feelings ahead of her first professional title contest. She said, “I’m so grateful to my team, the McGuigan’s for getting me this opportunity at this stage of my career. Cameron has linked up with Cyclone Promotions and is training at the McGuigan Gym itself in London. The Northampton native weighed in on how life is treating her at the McGuigan HQ. The vibrant 26 year old stated, “Training is absolutely fantastic. I couldn’t be happier with how things are going. 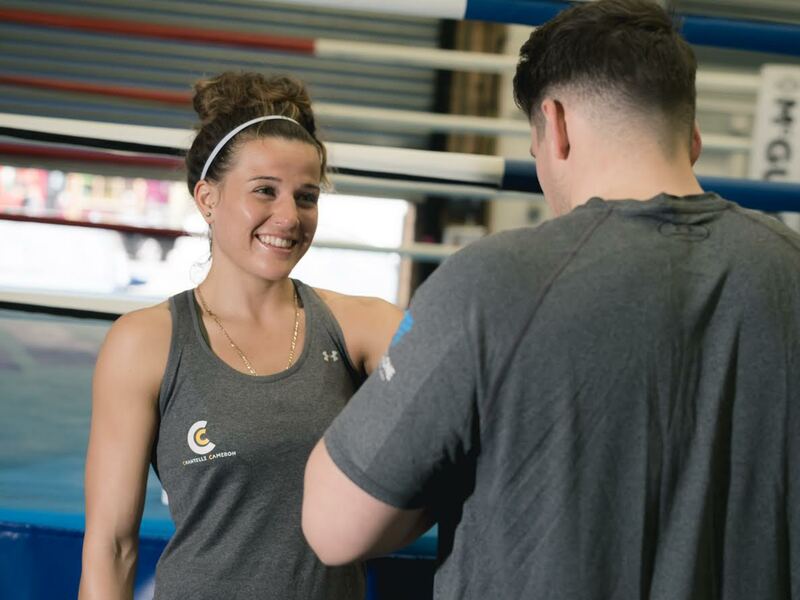 Women’s Boxing is not just on the rise in the UK but Worldwide. Cameron elaborated on what her aims are in the world of Professional Boxing. Cameron said, “I want to inspire more women to get into boxing. Boxing is a fantastic sport that can help anyone and I’d love to see more women going to boxing gyms.